Rich McGrath with Paradise Chevrolet shows off the Chevy 4500 Low Cab Forward [LCF]. 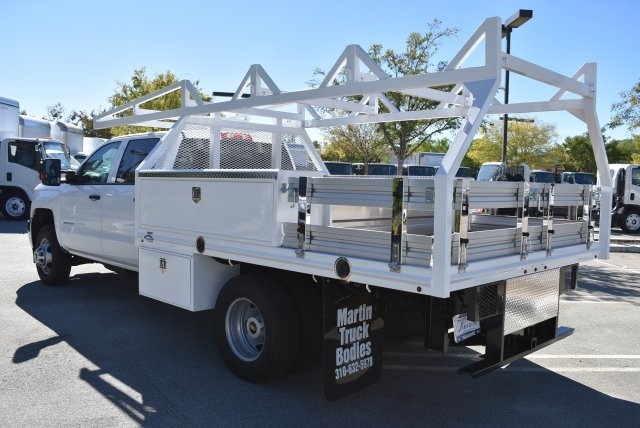 This heavy-duty regular cab chassis is mated with a Martin 14' Stakebed with a Palfinger folding 2,000 lb. liftgate. This truck will get the job done. 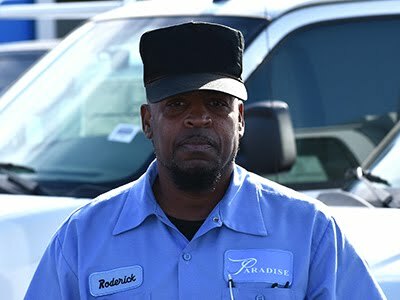 Paradise Fleet carries a wide range of flatbeds, stakebed, and many other types of commercial trucks ready to go to work today. 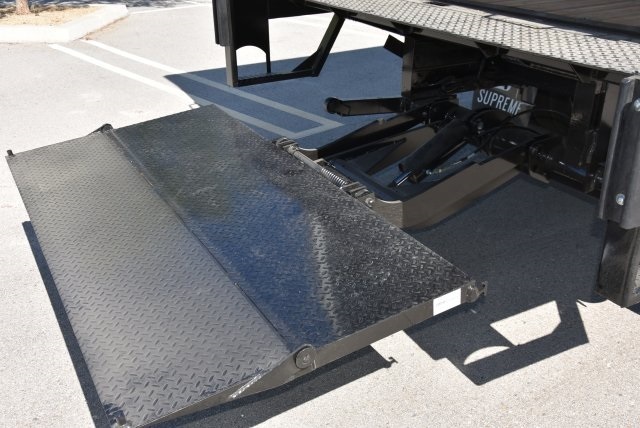 See a current selection of flatbed and stakebeds in stock here. 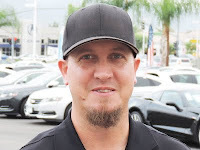 Or, better yet, call us at 951-252-2980 and let us help you find the perfect truck today. So many food and other retailers are offering home delivery and this great new offering from Morgan handles a huge load of deliveries and yet because it is mounted on the Low Cab Forward model chassis has such a tight turning radius that it can maneuver city and neighborhood streets with ease and efficiency. This unit shown is a 12' truck body and the wheelbase is only 109" which is similar to a Corvette. There's nothing like a fresh idea for the fresh delivery marketplace and Morgan is leading the way with this great design. 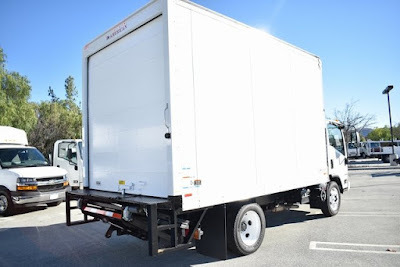 Call our commercial truck professionals at Paradise Fleet at 951-252-2980 to discuss the possibilities of this great truck for your business or any other commercial use truck. We're here to serve you! 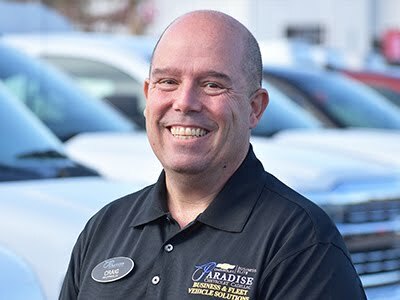 Rich McGrath with Paradise Fleet shows off a Chevrolet 2500HD Double Cab with a powerful 6.0 Gas V-8 engine with a 6-speed transmission with many interior and exterior optional features. 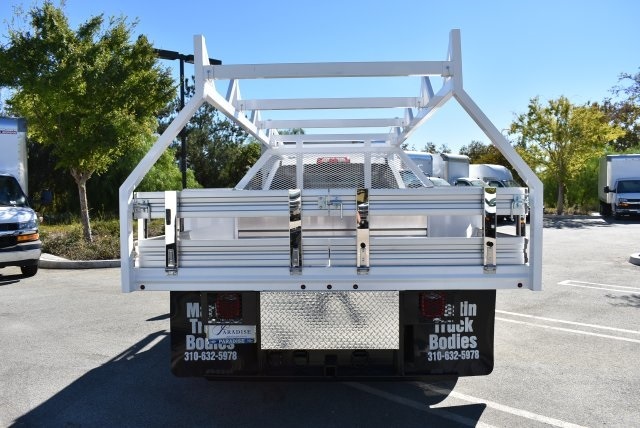 This unit has a Harbor 8' Service Body with Stainless Steel open top lids, a material rack, and a Raised Cargo Bed Enclosure. 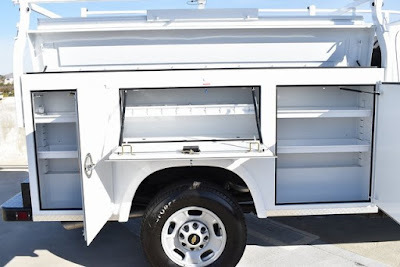 Raising the lockable sliding 3-piece roof on this Cargo Bed Enclosure really expands the cargo area and keeps things out of the weather and out of sight. Harbor's Cargo Bed Enclosure slides on Teflon pads making it trouble free and more easily controlled in sliding and also in having it stay put where you want it. 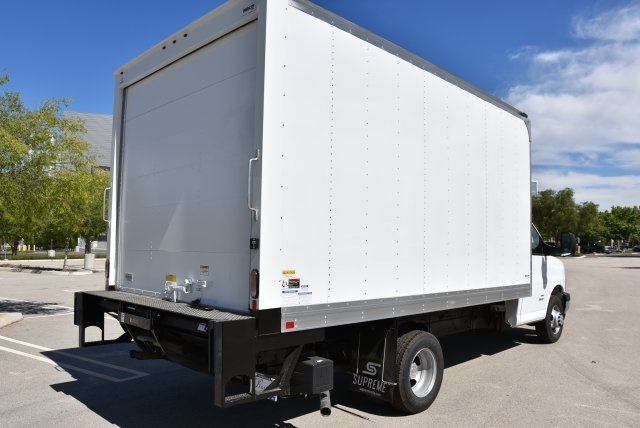 Paradise Fleet typically has several of this model and configuration in stock ready to go out and go to work. You can see one example in our inventory here. 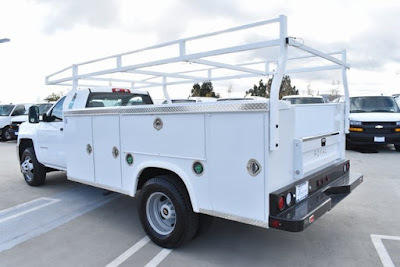 Or, better yet, give us a call with your work truck needs at 951-252-2980. Aluminum Products shown at the 2019 Work Truck Show. and is now also a leader in aluminum truck bodies! 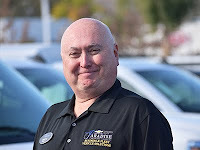 Call Paradise Fleet at 951-252-2980 for more information. 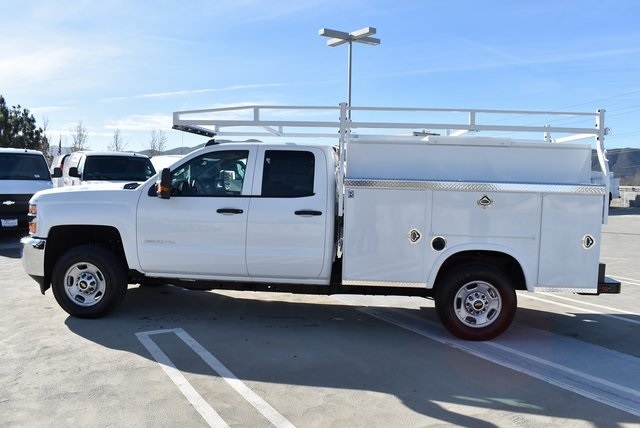 For 2020, Chevrolet has completely redesigned its Silverado 2500HD and 3500HD heavy-duty pickup with more ground clearance, a wider box, and easy access to cargo in the truck bed. 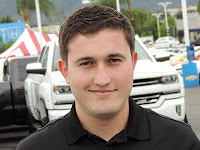 Dan Tigges, full-size truck product manager for GM Fleet, gives an overview of a Silverado 2500HD pickup and a Silverado 3500HD chassis cab, including the new available powertrains and new Allison transmission. Rich McGrath with Paradise Chevrolet shows off the really cool Morgan ProScape Landscaper body mounted on a crew cab 4500 Low Cab Forward chassis. M18529 is our stock number on this unit and you can see more about it here. 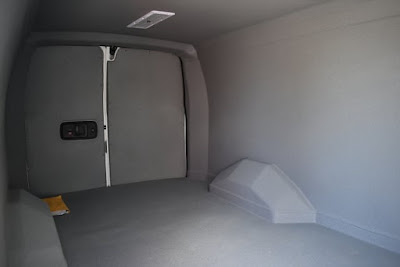 Think of how many different ways you can use this body: As a landscaper, as a dry freight van body and much more. 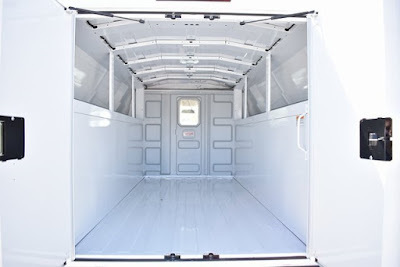 From the fold-down rear entrance to the side door access to the spacious interior, not to mention the huge crew quarters to get everyone to the job site in comfort. This unit is ready to move and go to work. 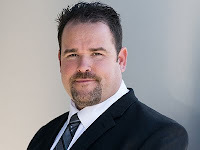 Give us a call at 951-252-2980 for more information. Work Truck Wednesday, 3-27-19: The You-Name-It Body Is Right For Most Businesses! 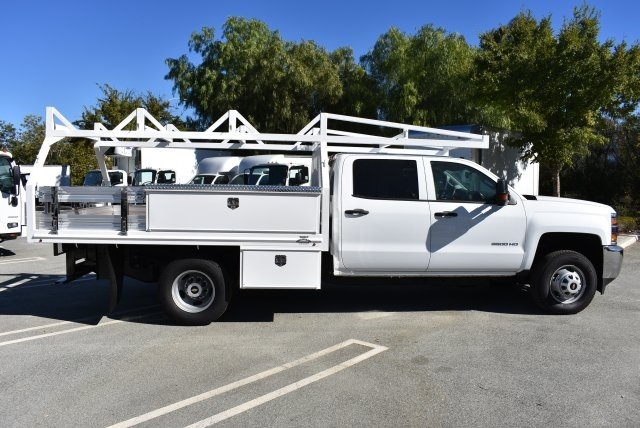 For this Work Truck Wednesday, we are showing off a great work truck which is also a great selling truck. 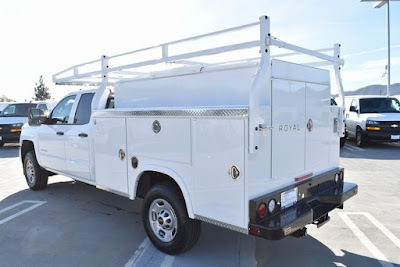 This type of truck and body combination is often called a Plumber Body, but it could just as well be an Electrician Body, a Handyman Body, a Remodeler Body, an HVAC Body, or a You-Name-It Body because it is so flexible and useful in this configuration. Why? It has a short 139" wheelbase which is about the same as an 8' pickup truck and yet this has a 10 3/4' body. 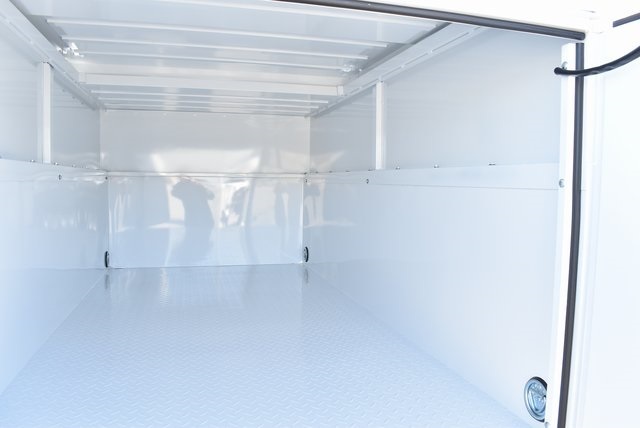 It is an enclosed service body in that it has a roof and fully lockable and huge storage area. 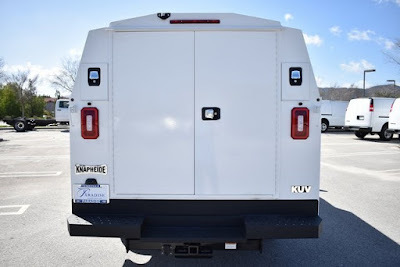 This great body by Knapheide is mounted on a cutaway van chassis and because of this design has a much shorter turning radius than a typical pickup. 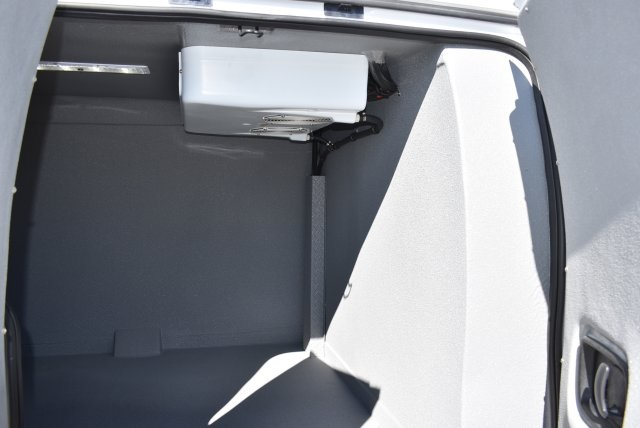 Carry things inside out of sight, along with tools and parts in the outside lockable compartments too. 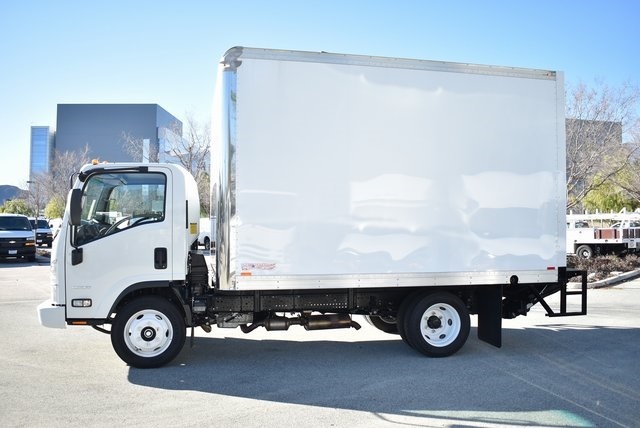 Just imagine all you can put in this great work truck. This is our stock number M19286 and is ready to go to work today. 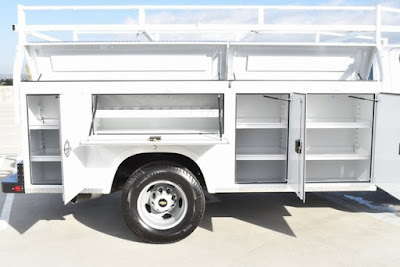 See more about this great truck here. 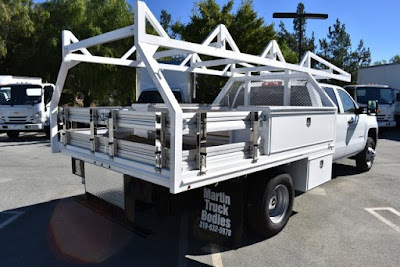 Better yet, give us a call at 951-252-2980 and let us help you find the perfect rig for your business! 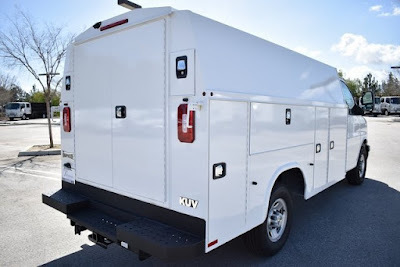 All new KLT with big truck features in a non CDL compact package. 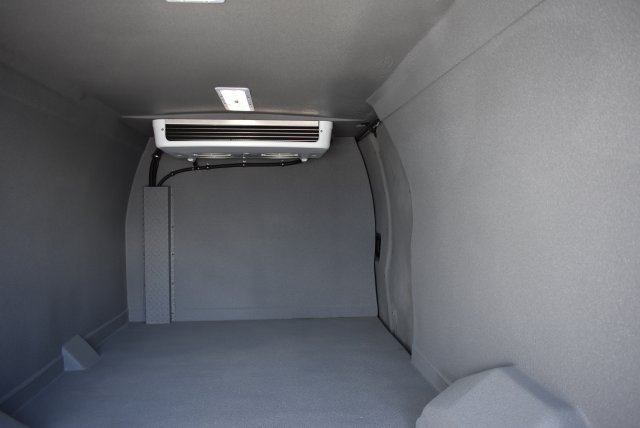 along with our Low Cab Forward HD models as well. and let us help you find the best truck for your work. Knapheide Mechanics Truck features shown at the 2019 Work Truck Show. Here is a helpful tool for your business! 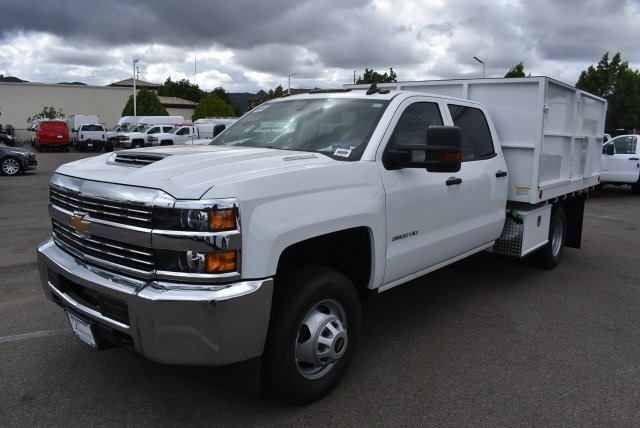 This is a new Silverado 2500HD with an 8' Royal Service Body with master locking system, HD rack and a raised cargo bed enclosure to keep those valuables out of direct sunlight and view and is lockable to help keep them safe. This great body is mounted on the 2500HD Double Cab so you have lots of room inside for the team and the typical comforts we've become so used to inside. This unit is powered by a gas V8 and has plenty of power to get the job done carrying all the tools you need and the people to get the work done too. It is our stock number M19116 and you can see more detail here. Better yet, give us a call at 951-252-2980 and let us help you get the best truck for your job and we most likely have it in stock ready to roll today! 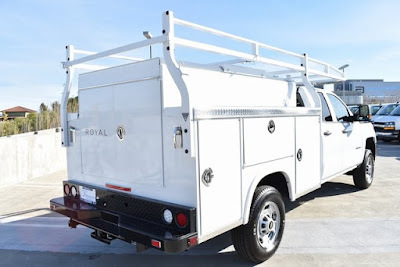 Aluminum Service Body at the 2019 Work Truck Show. This is a mesmerizing video. No chat, yet there is sound. Just serious work of building a Corvette engine by hand. Enjoy! Chevrolet Corvette Stingray Assembly Plant, Bowling Green, KY. Assembly plants are such interesting places to see. Not many get to see them, but here is a few minutes of building America's Sports Car! Work Truck Wednesday, 3-13-19 - Sometimes You Just Need More! That's right! Sometimes you just need more. More space. More power. More stability. More efficiency. Sometimes you need more space for stuff, even heavy stuff, and then the capacity for maximum stuff, all at the same time as towing stuff to the job site. Here's the ticket for you that need more! This heavy-duty 3500HD dual rear wheel chassis has the capacity and the stability, and with the 6.6 Duramax Diesel Engine and mated with the famous Allison HD transmission, it has the capacity to move all that cargo and tow the tools you need to all your job sites. 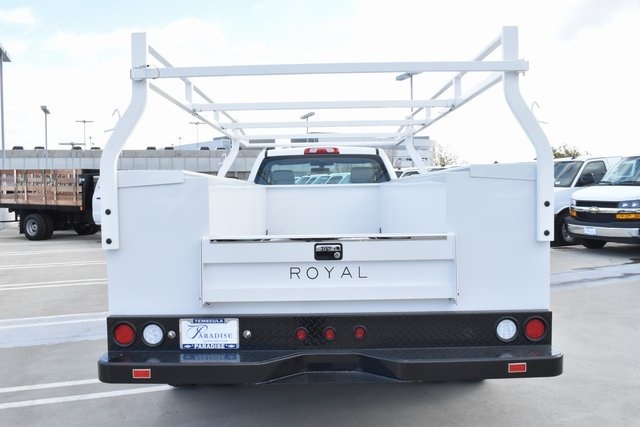 This chassis is matched to a Royal 11' Service Body with open-top lids with individual removable boxes above, gas shocks on the doors to help keep them open in the wind, deep compartments to carry what you need and loads of space in the middle of the bed area. 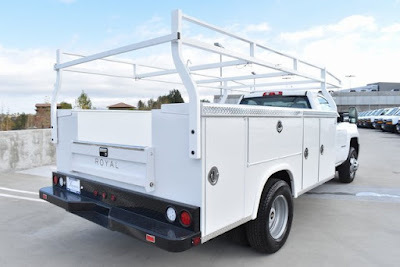 In addition, this has a heavy-duty material rack with removable bars and swing-away rear bar when you need to carry tall items, plus offering a great way to tie those taller items tight while traveling. You will find so much more about this great truck here. 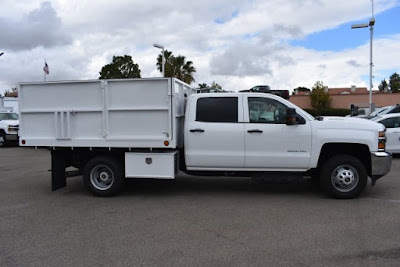 Or, better yet, give us a call at 951-252-2980 and let us help you find the best truck or fleet of trucks for your needs! 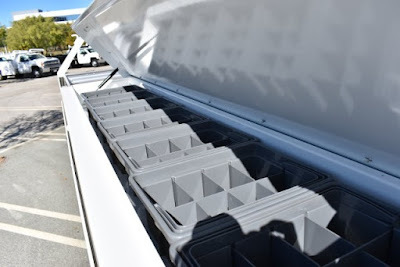 Flint — Chevrolet introduced its redesigned 2020 Heavy Duty pickups Tuesday at its truck assembly plant here, the third all-new Silverado in 18 months. The new truck, built at the renovated Flint Assembly Plant, will require 1,000 new jobs at the plant, General Motors Co. President Mark Reuss said. The new truck and jobs at Flint Assembly come as GM is laying off some 4,000 salaried workers in the next few weeks. Reuss acknowledged the somber circumstances before kicking off the presentation of the new Silverado Heavy Duty. 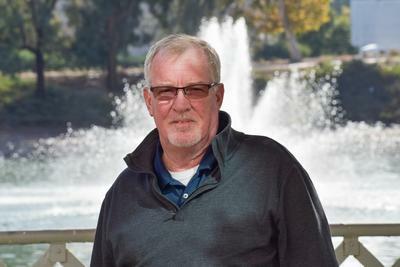 "As difficult as it’s been, these are the right decisions to make the company more competitive today and more successful in the future and long-term," Reuss said. Chevy gave a sneak peek of the truck in December, debuting a new exterior design that differs from the light-duty Silverado that debuted at the Detroit auto show last year. Powered by an all-new gas-powered V-8 engine paired with the 10-speed Allison transmission that debuted on the new heavy-duty GMC Sierra last month, the new Heavy Duty breaks away from the Camaro-inspired grille design on the 1500 with a bolder fascia and bigger headlights. 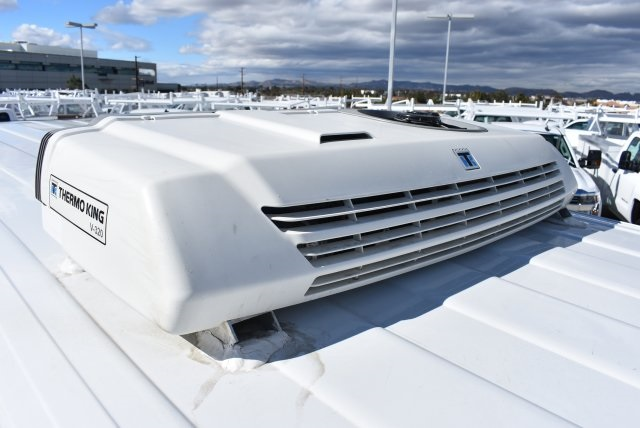 Chevy said in December that the Heavy Duty trucks only share a roof with the light-duty 1500. Every diesel-powered Chevy dually will now tow more than 30,000 pounds. 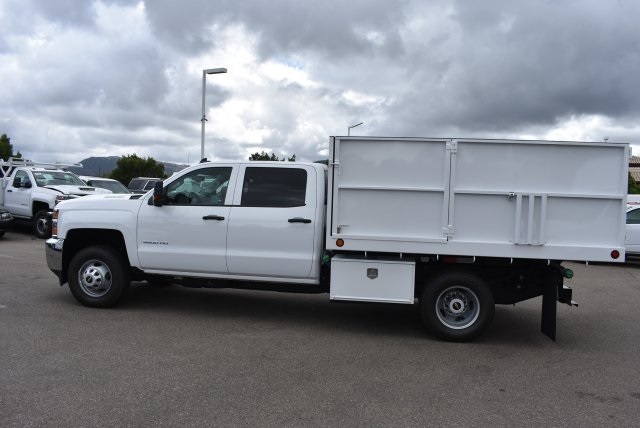 And the gas-powered 2500 HD's max towing is 17,400 pounds, an 18 percent increase from the current model. The 6.6-liter V-8 Duramax turbo-diesel engine will develop 445 horsepower and 910 pounds-feet of torque, falling short of the 1,000-pounds-feet of torque achieved by rival Ram's new heavy-duty truck. 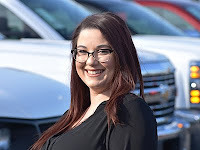 Lead engineer Jaclyn McQuaid acknowledged the higher torque from competitors but said that Chevrolet has strengthened the heavy-duty trucks' axles, locking rear-differential, prop shaft and u-joint to allow the truck to use all 910 pound-feet of torque in first gear. Chevy's new behemoths will still benefit from the light-duty Silverado's new high-strength steel architecture with a new chassis that allows for three more inches of rear legroom. 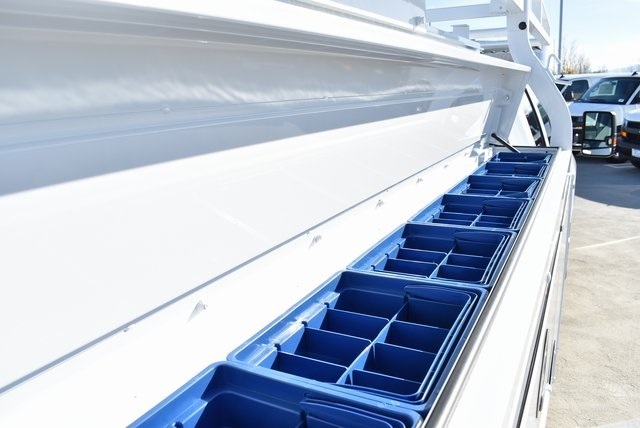 And the HD's box, which already has corner steps for easier access, gets two more steps at the front of the box for easier, forward-box access. 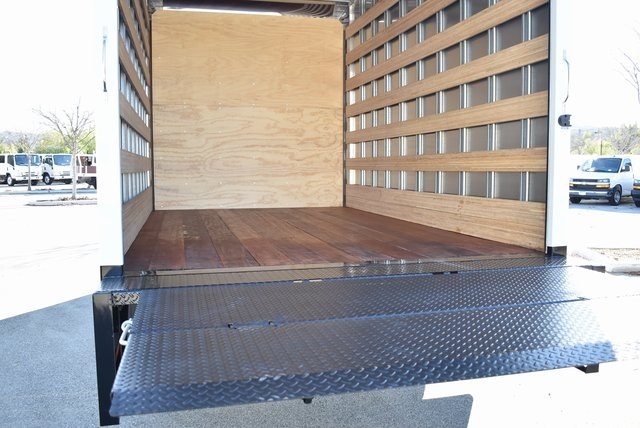 Adam and Jamie have some fun with their custom-made square-wheeled pickup. And, maybe it is a great way to beat the heck out of an old Ford truck! 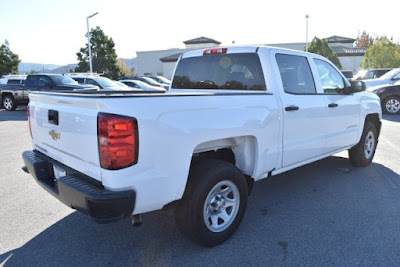 Get a great deal on the All-New Silverado during Truck Month: https://www.chevrolet.com/current-deals The All-New Chevy Silverado is the strongest, most advanced Silverado ever. 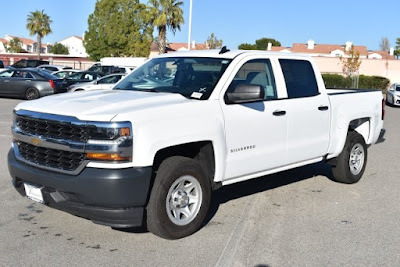 With eight different trim levels, six different powertrains and the most functional bed of any pickup, the All-New Silverado is the right truck for work, play, and everything in between. The All-New Silverado, it’s the official truck of real people. 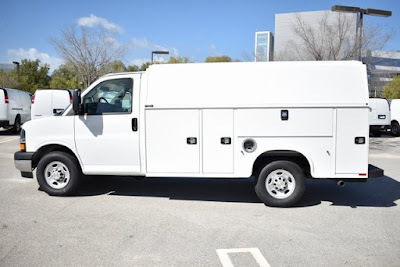 Work Truck Wednesday 3-6-19 City Delivery Van To The Rescue! That's right! City delivery van to the rescue. 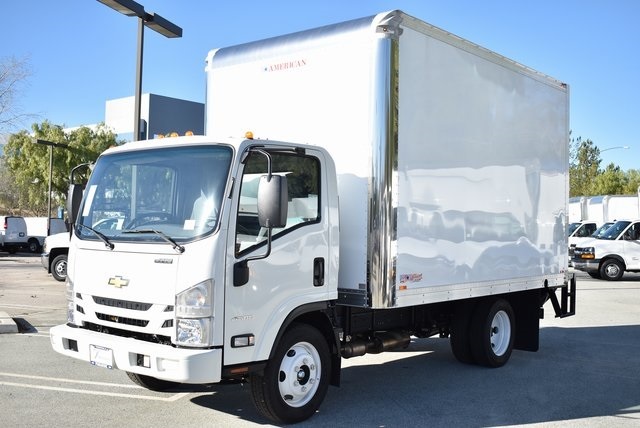 The single best feature of this Chevrolet LCF 4500 Low Cab Forward design with this 14' American Truck Bodies 96" tall van body with the tuck-a-way style liftgate is the way it can move through tight traffic and delivery spots all around town. Why? It's the turning radius! Here's the deal: This great heavy duty (seriously heavy-duty!) 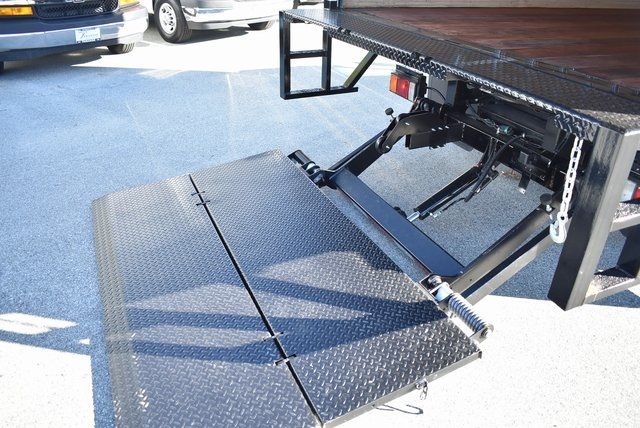 truck chassis that has a huge 14' delivery van mounted on it only has a 132" wheelbase. The average standard regular cab pickup truck is almost identical and yet this truck can turn a circle almost within the turning circle of the pickup. 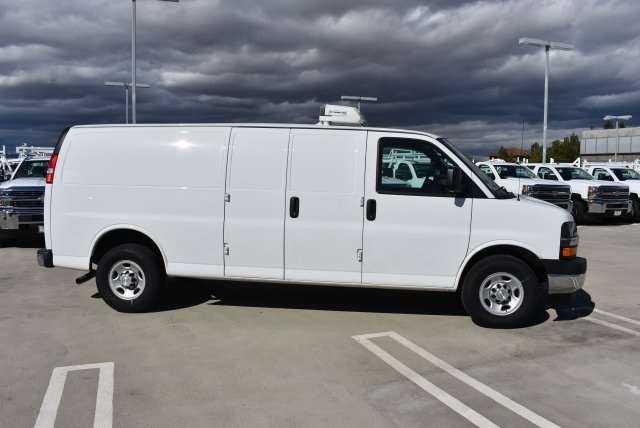 With this great size delivery van truck, you can go places that even a pickup will be challenged by and remember this: the pickup only has an 8' bed and this has a 14' bed! Those features rule when it comes to city delivery! 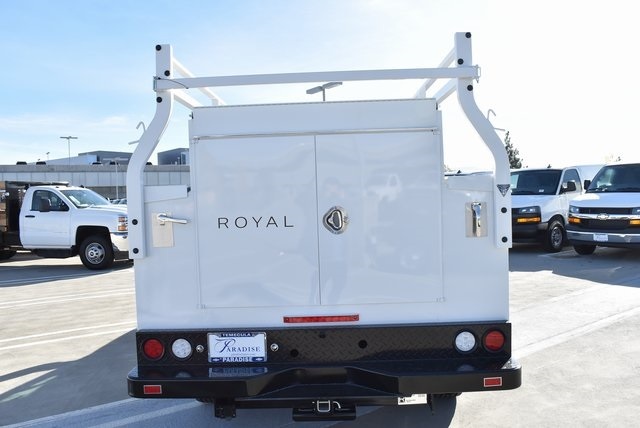 And, if that isn't enough, this rig will carry the weight and has a heavy-duty liftgate to save your back and it tucks out of the way during travel. There's more! This LCF4500 is powered by a 6.0 GM gas V8 engine! Fill up anywhere! Loads of power. Easy start and drive. Extremely comfortable. 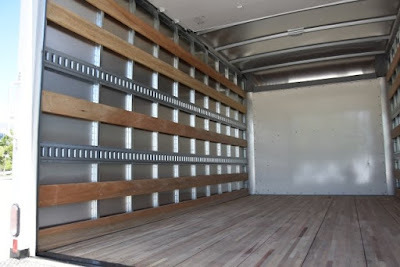 Excellent visibility and the list get longer and longer of the benefits of this great truck. This particular unit is our stock number M18756 and we have a lot more to choose from including many with diesel engines, longer and shorter bodies too. See more about this unit here. Want to see others? Check out our other delivery van bodies here. 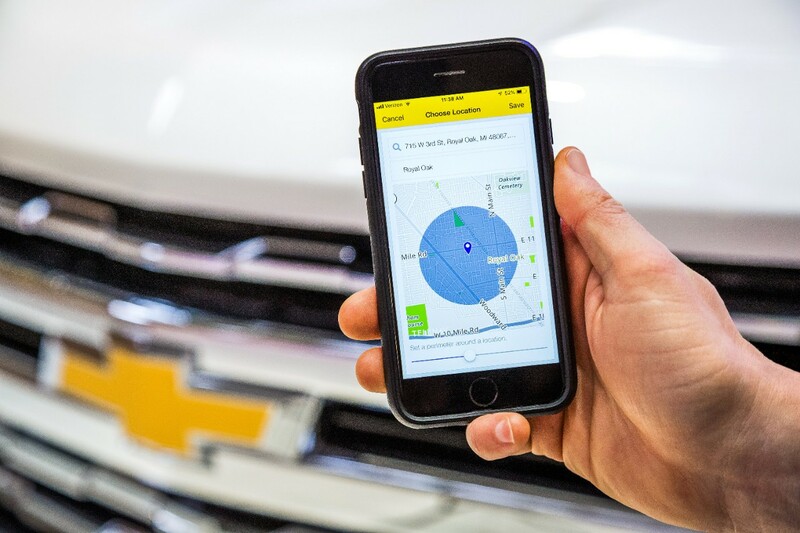 DETROIT — The myChevrolet mobile app recently received a new feature that will help ease loved ones’ worries and make the process of checking-in more convenient. The feature is called Vehicle Locate1 and it allows Chevy owners to send automated text alerts to friends and family when their connected vehicle enters or leaves a designated boundary area, or arrives at or departs from an address. 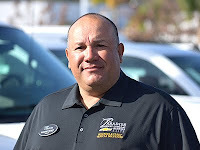 Owners can also use the feature to pinpoint the location of their connected vehicle at any given time. 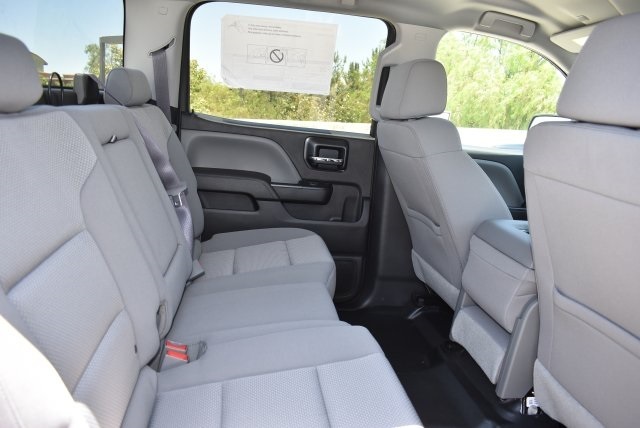 Vehicle Locate is available to owners of eligible 2012 model year or newer Chevrolet vehicles in the U.S., Canada, and Mexico. 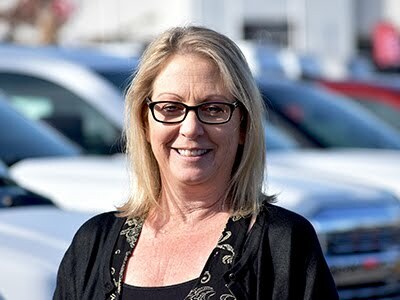 The service is part of the Remote Access Plan, which also provides mobile apps features like remote key fob services to remotely start, stop, lock and unlock properly equipped GM vehicles, and on-demand diagnostics to troubleshoot common issues. Chevy partnered with the American Cancer Society to surprise an incredible family with an amazing story at the Daytona 500. 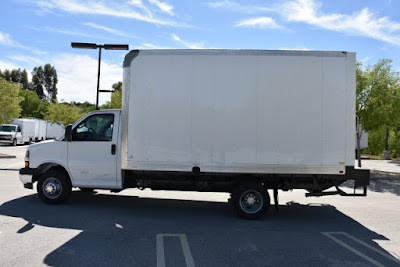 2-27-19 - Work Truck Wednesday Super Cargo & Crew Bargain! 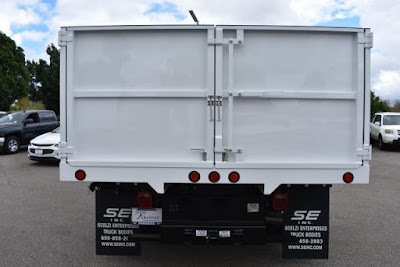 We can add a commercial shell, bedslide, or many other options that will increase the ease and effectiveness of the work that this great truck can do. Cargo AND people is a great combination! Here's an old and yet very instructional video made by Chevrolet in 1936. The transmission in the modern motorcar -- the mechanism that makes it possible to have three forward speeds and a reverse -- is a series of levers, levers that spin. 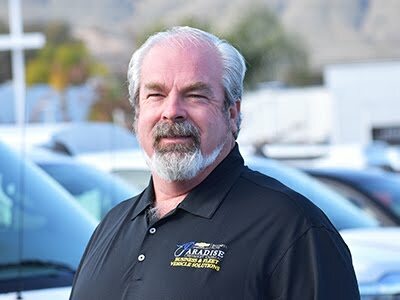 Warren with Harbor Truck Body shows off all latest features of the next generation TradeMaster Service Body. 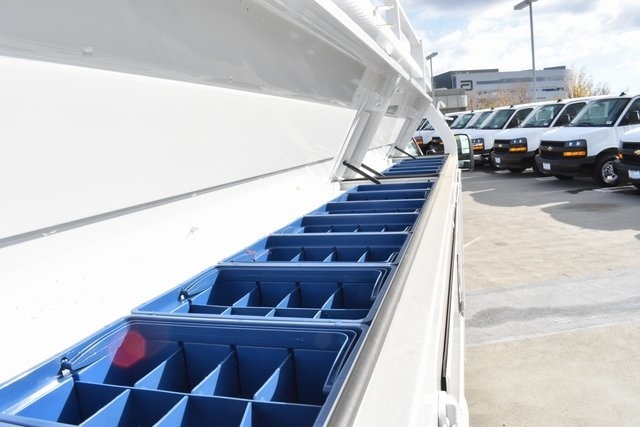 At Paradise Fleet we carry a lot of Harbor Truck Bodies ready to go to work! 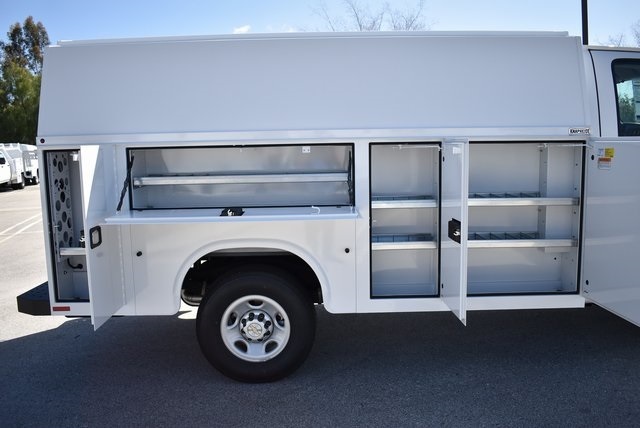 See more Harbor Truck Bodies in our inventory here. Getting products, cargo, pallets, equipment, and any other dry goods from one place to another is more often than not done in a van body, sometimes called a dry van, or hi-cube van. And, this is a very popular size and is also heavy duty enough to carry the weight of a full load. This is a Supreme 14' Aluminum van body with a tuckaway liftgate to get those heavy loads up inside the bed and back out with ease. 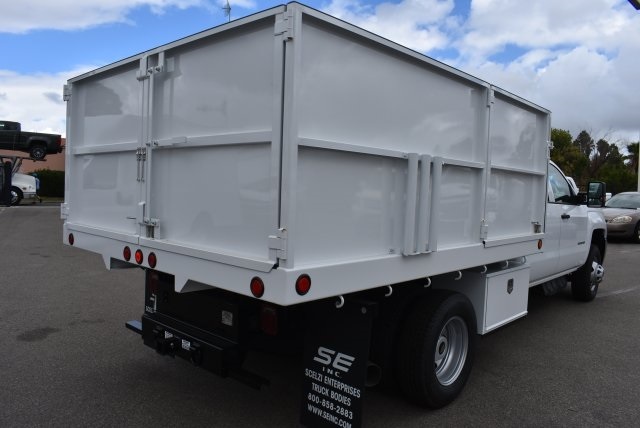 The body also is equipped with two rows of E-Track to help keep short loads in place while you negotiate traffic and ensure that the load arrives safely and without damage. 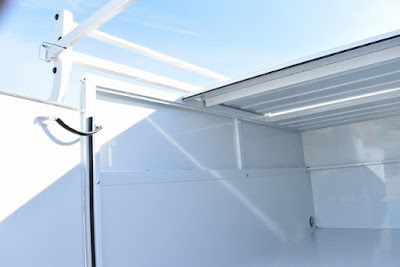 It has a roll-up rear door and also has wood slates to help protect the aluminum sheeting and is easy to use to tie loads against the wall as well. 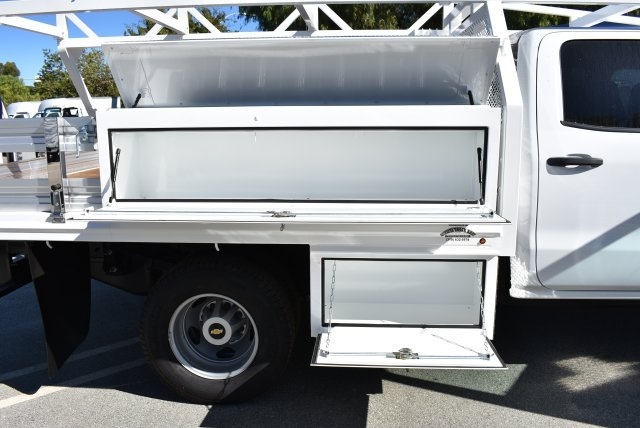 This great size body is mounted on our Chevrolet 4500 heavy duty cutaway cab chassis which offers a tight turning radius and a comfortable ride and easy maneuvering all around the city. This chassis has a powerful 6.0 gas V8 and 6-sp automatic transmission with AC and other great features. It is our stock number M18547 and you can see more about this unit here. We carry such a wide range of trucks that are ready to go to work today including other size van bodies on Chevrolet cutaway, or the Low Cab Forward, or conventional cab chassis models. We also have a huge selection of service bodies, flatbeds, stakebeds, landscape dumps, and much more. 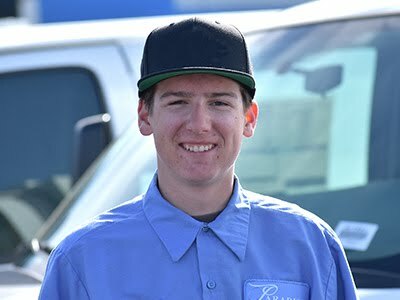 Call us today at 951-252-2980 and let us help you find the perfect truck for your business. 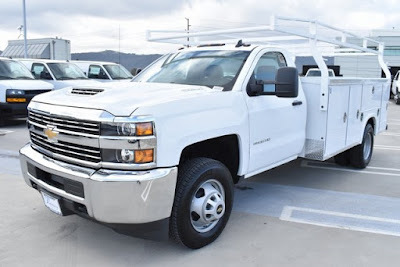 2020 Chevy Silverado Heavy Duty 6.6L Gas V8: Here's What You Need To Know! 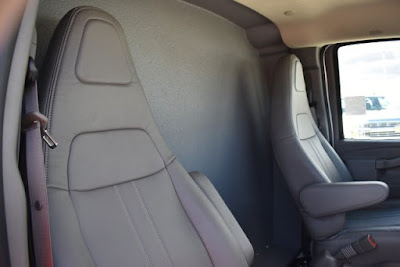 TFLtruck is brought to you by Platinum Ship, where your delivery is handled with the latest equipment optimized for maximum yield of efficiency and capability, and our Logistics Team continuously monitors routes and road conditions to keep our drivers, your products, and our equipment safe and on schedule. Contact Platinum Ship for your next shipment and let us exceed your expectations. Here's some nostalgic fun for you Chevy Truck Fans! Work Truck Wednesday 2-13-19: A Crew-Cab Contractor Body Is Great Choice! Here's a hard-working bargain for you and your crew. Great setup for landscapers, construction, all services in a truck that combines the usefulness of a flatbed, a good part of the versatility of a service body, and the crew carrying crew cab capacity to get your stuff to and from the job site along with a full crew. This 3500HD dually unit is equipped with the legendary 6.0 Gas V8 and 6-speed automatic transmission, a short wheelbase helps it turn tight and get into challenging places. 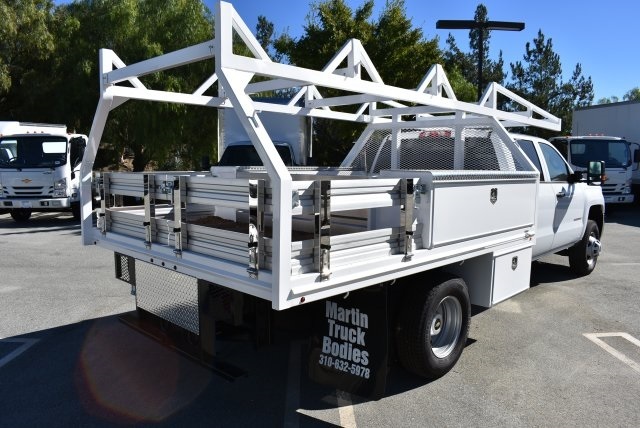 Add to that this great 10' Martin Contractor Body with top-opening lids on the upper bed boxes with removable trays for small parts or remove the trays easily for long tools. There are folding gates around the back, a load divider at the back of the upper boxes, and a HD forklift-loadable rack. All this at a great price too. This is our stock number M18171 and you can see more about this truck with more photos here. 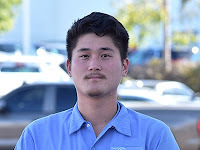 Better yet, give us a call at 951-252-2980 and let's talk about this truck or something that might be even better for you. We have a massive selection of ready-to-go-to-work trucks. The All-New Chevy Silverado is the strongest, most advanced Silverado ever. 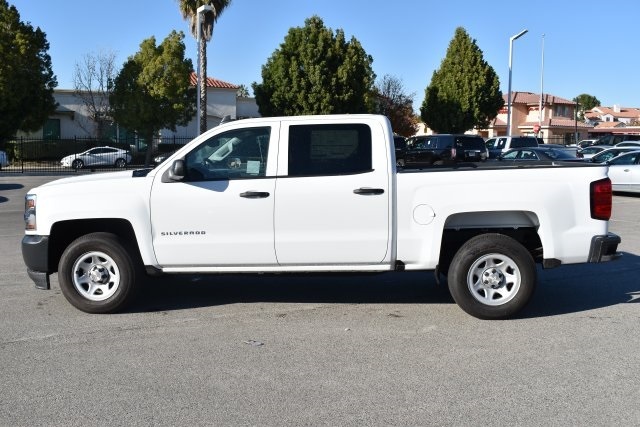 With eight different trim levels, six different powertrains and the most functional bed of any pickup, the All-New Silverado is the right truck for work, play, and everything in between. The All-New Silverado, it’s a little bit country and a little bit rock ‘n’ roll. Work Van Wednesday 2-6-19: Incredible Bargain On Remaining Ice Box On Wheels!